"Practicality is the name of the game here. In basic Utility spec the Land Cruiser comes equipped with steel wheels, black plastic door mirrors and robust plastic trim." With the old Land Rover Defender now nothing but a distant memory, and the new version more than a year away, Toyota has a fighting chance with its rugged new Toyota Land Cruiser Commercial. 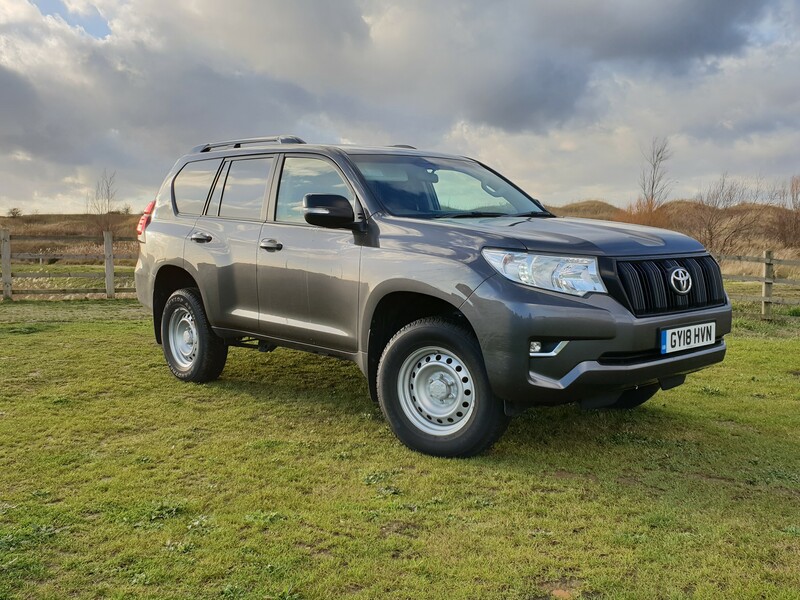 Available in three- (SWB) and five- (LWB) door guise, the Land Cruiser in van form offers a credible alternative to a pick-up for those that need an off-roading load lugger. 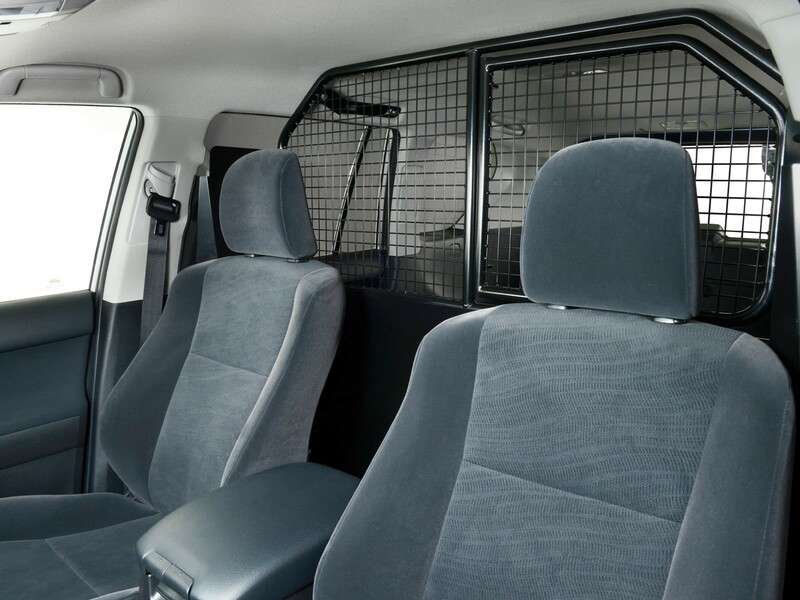 It is also a cheap way into Land Cruiser ownership for company car drivers and the self-employed, if you can go without rear seats. Practicality is the name of the game here. 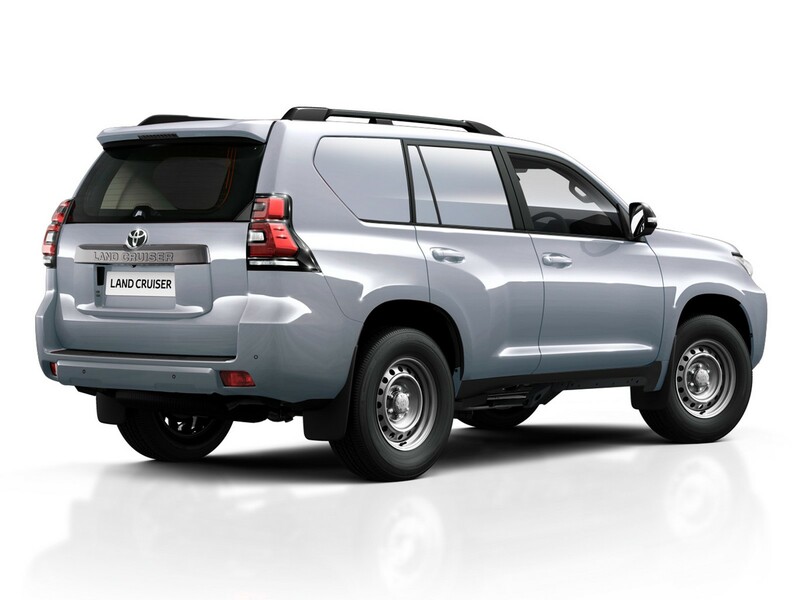 Available in basic Utility spec only, the Land Cruiser comes equipped with steel wheels, black plastic door mirrors and robust plastic trim. You do get a few luxuries, such as keyless entry and start, automatic headlights and air conditioning for a starting price of £27,272 (CV OTR). It uses the same 2.8-litre diesel engine as the car version, with a 177PS output – meaning it’s more potent than a Hilux. Maximum payload ranges 593Kg for the SWB to 756kg for the LWB, so a pick-up is still more practical but the Land Cruiser Commercial can also tow up to three tonnes. Permanent all-wheel-drive, a raised ride height and low-range gearbox provides excellent off-road ability. 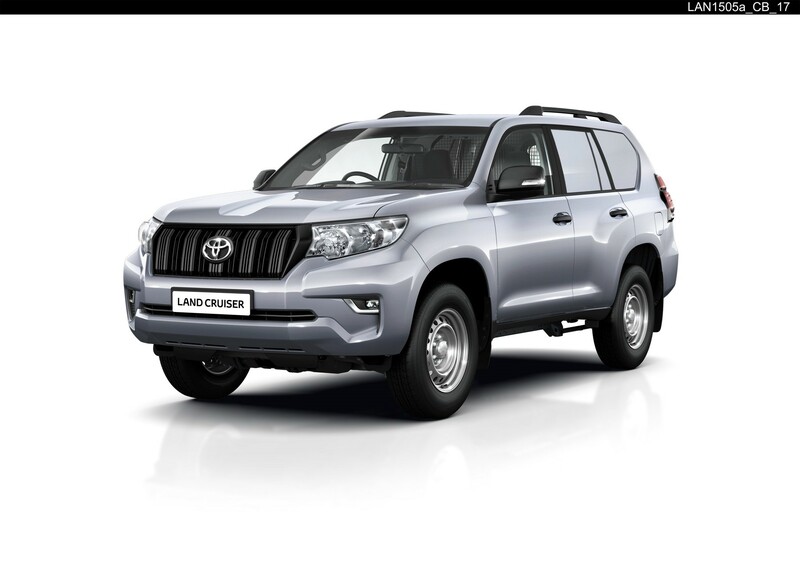 The Land Cruiser is also a comfortable vehicle on-road, with average fuel consumption of up to 37.6mpg. 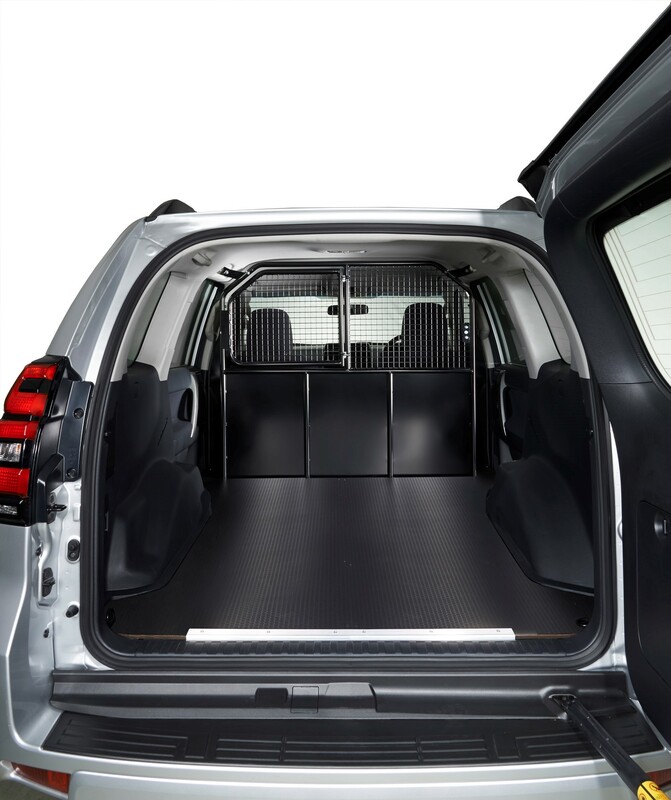 In the rear, the floor is level and features a rubberised coating. The side windows are covered with body-coloured stickers and there’s a steel bulkhead to separate the passenger compartment from the cargo area. With a mesh upper section it does mean that refinement is affected somewhat. There is a fair amount of body roll, but the Land Cruiser Commercial is better to drive than most pickup trucks, and the SWB version is easier to manoeuvre. The larger LWB still has back doors, which open, but does without parking sensors or a reversing camera so requires a little bit of extra driver skill in daily use. Despite being designed with work in mind, the Land Cruiser Commercial has great driver appeal. Unlike a Defender there are no compromises in terms of comfort as a result of the car's go-anywhere capability. 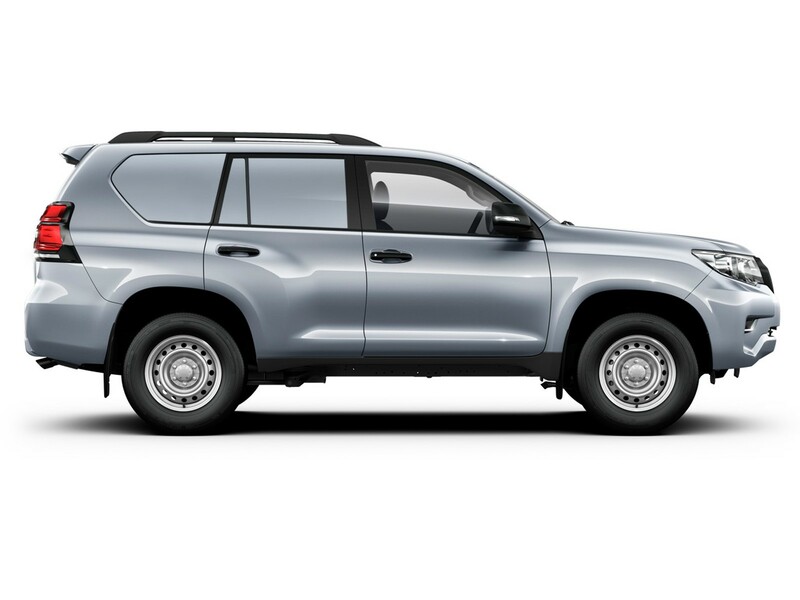 With a five-year warranty and Toyota’s reputation for build quality, it’s likely that fleet operators and business owners opting for the Land Cruiser Commercial will not be disappointed. We have run the cars for a few years, nothing goes wrong, servicing not too bad. Tyres at 6mm after 40,000 miles. Resale values better than guide. MPG is realistic. Drivers love them after about a week, especially when towing. After reading the farcical ruling about Coca Cola and the VW Kombi, surely this vehicle and others like it should be classed as cars, as they are predominantly designed as, and based on a car design. Similarly they don't have sufficient payload to be classed as a commercial vehicle so should be classed as a car!